If you’re going to spend any time around Grand Teton National Park, you really should consider exploring the park by hiking through this amazing terrain. We’d be happy to take you along with us during one of our guided tours. But if you’ve got a more independent streak, the National Park Service’s website or the agency’s Grand Teton app are great resources for choosing your own path. We also recommend checking with the visitor center before heading out to get any day-to-day updates. For our money, these day hikes are great options for seeing Grand Teton National Park. Just north of Jenny Lake is String Lake. This loop trail, which is 3.7 miles round-trip, is an easy hike around the clear green waters of the lake. Keep your eyes open for fish and there are some beautiful forested views of Rockchuck Peak and Mount St. John along the way. 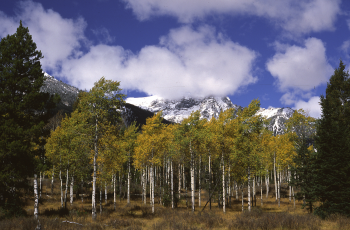 This hike also starts at the String Lake trailhead. You reach Leigh Lake trail 1 mile north of the String Lake trailhead and from there you will enjoy a relatively flat walk along the eastern shore of the lake. You can extend this 4.5-mile, round-trip hike by continuing to Bearpaw and Trapper Lakes. Leigh Lake is larger than String Lake, giving you more open and expansive views on this trail. One of the most popular hikes, you can reach Inspiration Point and Hidden Falls from either side of Jenny Lake. You can start the hike (5.2 miles round trip) from the Jenny Lake parking lot. After hiking for a half mile west of Jenny Lake, you will see the 80-foot Hidden Falls. Continue another half mile and you will reach Inspiration Point with a view 400 feet above Jenny Lake, which sits at the base of the Tetons. For a shorter 1.8-mile, round-trip hike, take the ferry from the parking lot across the lake. If you only have one day to spend in the Grand Teton National Park and you’re interested in using that time for a full day hike, this is the route for you. A 14.4-mile, round-trip hike from the west side of Jenny Lake, this route does not disappoint. You’ll pass Hidden Falls and Inspiration Point and travel up magnificent Cascade Canyon between Teewinot Mountain and Mount St. John. Be sure to look for wildflowers in this canyon during summer. At the top of the canyon, you head north at a fork into an open valley of sage, grass and boulder fields. After another 2.7 miles, you will find yourself at Lake Solitude – perfect for an amazing picnic lunch. 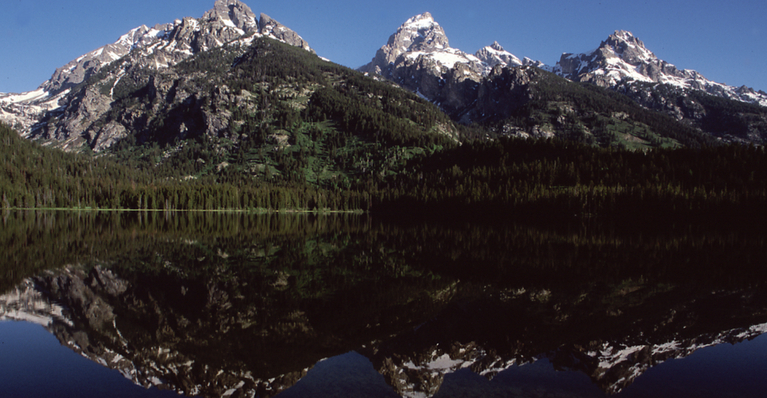 You will be greeted by an unobstructed view of the Grand Teton that will absolutely take your breath away.